I feel the stage has been set and that the show is about to begin. 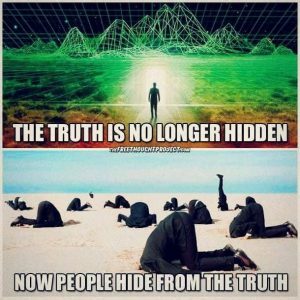 Even though denials, lies and corruption have been, and continue to be exposed, it seems that only a few have been quickened and are aware of the lie and illusion they have been living. It seems that most, unless it’s directly happening to them, continue to live life as if there was nothing wrong in the world. I feel that is all about to change in 2018. It will not happen suddenly, but like a volcano, the pressure is increasing and when it does, there will be few, if any, that will not be directly affected. The Old System is about to collapse and that affects all elements of society. There will be scrambling to try to maintain and save the old, but it will be short lived and futile. Prepare to see what has been covered up and denied for decades, as more deep seated secrets are being exposed to the light of love. These revelations will rattle social beliefs to their very core. This entry was posted in Conspiracy - NWO, Earth Changes, Energy - Oil - Electric, Financial, Food - Water - Shelter, Health & Wellness, Media - Internet, Medical, Medical - Drugs, Military - Police - Laws, New Age, Politics - Government, Religion, Science - Technology, Society - Culture, Space - Aliens - UFO's, Transportation and tagged 2018, truth by johnrieger. Bookmark the permalink.